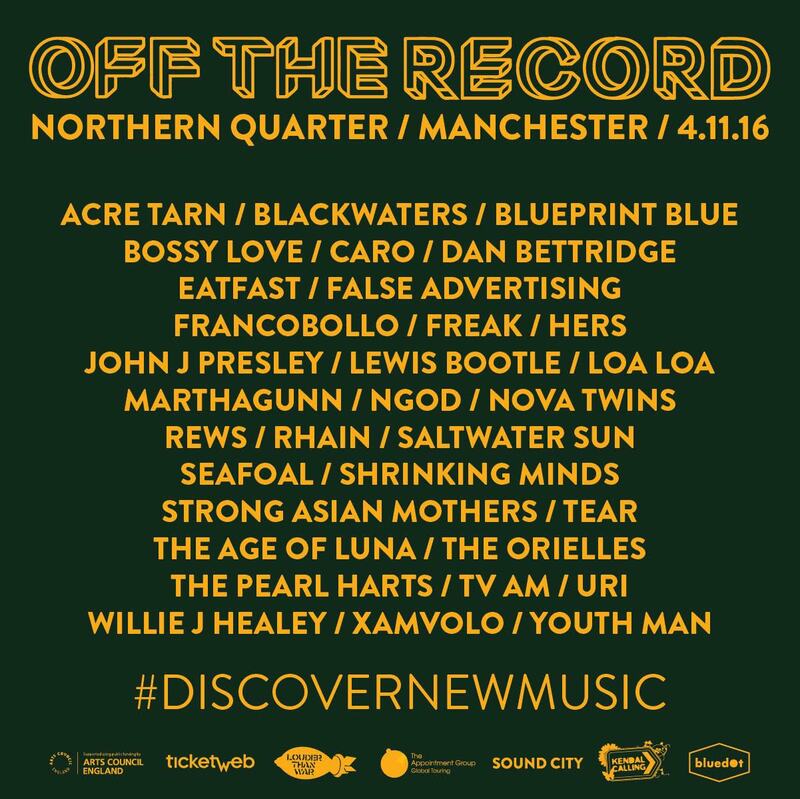 Friday 4 November 2016 was hopefully a memorable day in world of new music in the UK as it saw the debut of Off The Record, a one-day festival dedicated to the bands that have not yet been discovered by the wider population. The event was split into two distinct parts with a daytime music conference with a variety of speakers, discussion panels and sessions to both entertain and educate. 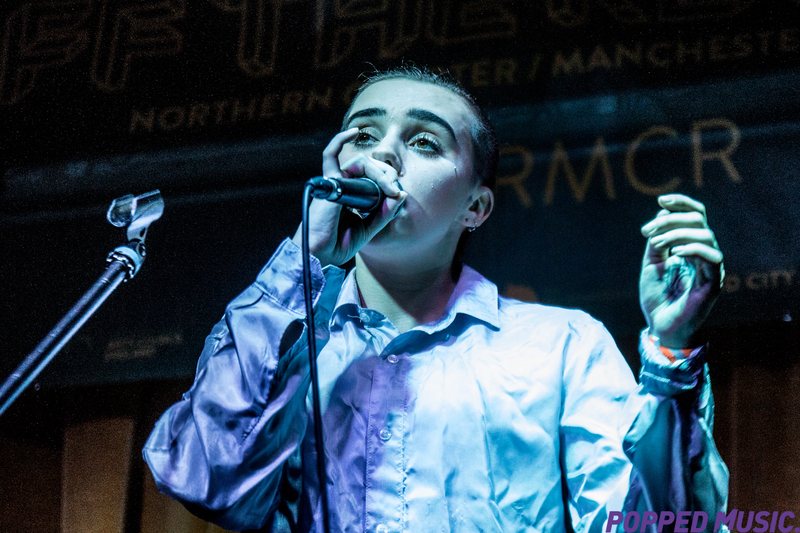 The evening saw a traditional metropolitan festival across six venues in the Northern Quarter with thirty bands squeezing in performances. Firstly the Conference. This was my first music conference and it was a timely reminder that whilst blog writers and photographers generally do the things we do for the love of music and zero wage, there are a lot of people for whom music provides a livelihood and I don’t just mean those who were on the stage. Generally we have a view that music is a bit like a messy custody battle and that shouting loudest in all many of metaphorical ways shows that you are right and the other parties are all wrong. Actually it is an important industry which employs a hell of a lot of people in terms of the trickle down economy. If you were expecting a series of almost after dinner speakers being witty and irreverent then you would have been bored very quickly. The speakers were all people who take music seriously regardless of their angle. Popped Music’s editor, Elena Katrina Jimenez, took part in the first discussion of the day, which was focused on how new bands get the opportunity to get listened to by their potential fans, along with representatives of Amazing Radio (Shell Zenner), BBC Introducing Lancashire and Silent Radio and hosted by Louder Than War’s John Robb. Each person had their own tips for success in getting music heard. Warning: if you’re expecting people to sign you up on a million pound contract because your mum and dad said you’re great, it isn’t going to happen. Whilst each person came across music in their own way, the responsibility is on the bands to do the hard work. If you are wanting bullet points on the talks, you should have bought yourself a ticket, it was well worth the money and this is not a study guide for being in a young band (there were about 20 different sessions, come on). However, I would recommend that you get hold of a ticket for next year’s event and any similar ones in the meantime. You have the chance to meet people and get advice from some of the top people in the country. Sometimes the people I watched felt a bit too corporate from my point of view and reminded me of people I had left behind in the office I do my paid work in, but with hindsight they at times are the people you need in an artistic industry so that the passionate and inspired can follow their instincts. We should consider ourselves lucky that they found their way to music because they would be just as successful elsewhere and probably earn a lot more money. At the end of a day of listening it was time to meet and greet … and drink, in a small drinks networking session, kindly put on buy one of the festival’s sponsor’s, Ticketweb. It was here where you got to wax lyrical with new and old music acquaintances alike, and we managed to fangirl somewhat over the arrival of Flying Vinyl’s MD – who has now bagged his business a new subscriber! 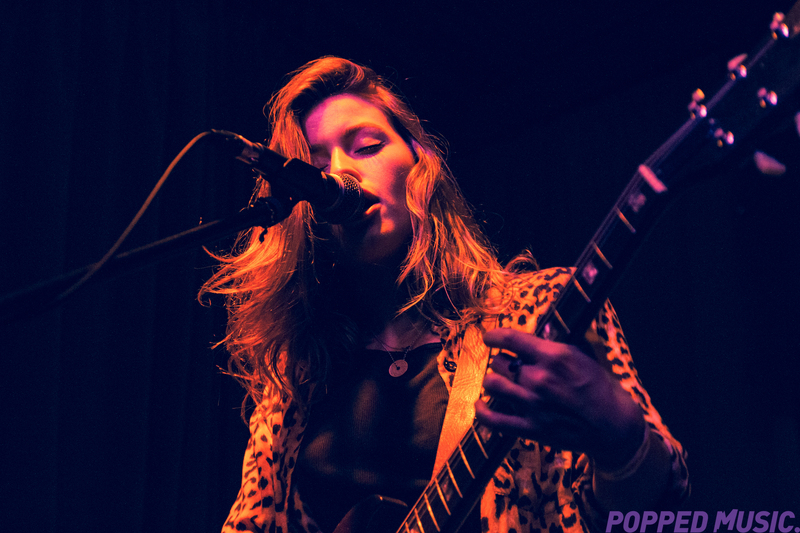 If there is one problem that all unsigned and young bands face, it must be the difficulties finding time to go to work and earn enough money to allow an existence but also finding the time to fit in the necessary gigs and recording. Band members have to cover early shifts in work and then jump in a van, learn how to sleep sitting up straight in between drum kits and amplifiers, and how long it takes to get from city to city. Unfortunately the length of time it takes to get from city to city is dependent on traffic and on a Friday our excitement to get home from work is only matched by the traffic on the motorways clogging them up. This meant that the opening set of Popped Music pick, Freak, had to be delayed several hours and moved from the brilliant basement of The Soup Kitchen, to the unexpected larger capacity of the great Ruby Lounge . If you were not checking Twitter though, you wouldn’t have known either way – perhaps a chalk bored in each venue could be an alternative communication for next year? As befitting its reputation, by the time we found out about the problems faced by Freak, Manchester had decided to ignore the fact there were many people wandering around and allowed the heavens to open. Respite was taken in the magnificent surroundings of Night and Day with the sensual sounds of Xam Volo to warm the soul. Xam’s performance is all about cool and the quality of his voice, and this set was no different. He provided thirty minutes of music that would make you want to dim the lights, pour another glass of wine and let seduction commence. There is no time for such things like seduction though when you’re a music blogger wanting to get to the next venue. Fortunately it wasn’t far away. The Castle is one of my favourite venues, but I never want to see good artists playing there again. The back room of an old-fashioned pub provides a proximity often missing from performances in the modern day, however it is gets uncomfortably full quickly and there is no room for people to slip past you. Blueprint Blue though were easily enough to take my mind off the potential for claustrophobia. We had tipped Blueprint Blue before the event, and it was fantastic to see them hit the heights of performance throughout the set. It was curious to see a band as well inspired by the likes of The Eagles and Eric Clapton rather than the conveyor belt of clones that often get to perform. Another act caught in the horrendous traffic issues was Dan Bettridge. His journey from south Wales had been so arduous that he could only turn up at the venue a few short minutes before his set was about to start. That did not deter him though, and I managed to catch a few tracks that were influenced by country music, minus the extremes of emotion and feeling that often taken country music down a path of well-worn cliché. It was impossible to stay for the entire set such was the earlier whispers and clamour about the set due from The Orielles. It seemed from speaking to people I recognised from earlier in the day, one of the key factors for choosing this choice was the reliability of the band to perform. Well they may have been reliable, but for me this did not turn into any feeling of excitement. Instead I was left out watching a band that were safe yet not polished enough to be shockingly good, and whose live performance felt routine rather than inspired. There was nothing wrong with the set, but personally I would like to see the band go for a greater risk and reward strategy. I don’t mean to try out a psychedelic sound, instead I think they might be more successful targeting an even poppier sound that people could latch on to in big numbers. Well I didn’t really intend on reviewing seeing as I had a say in some of this here line up, so I’ll keep it short n sweet. Though the M6 had other things in mind for us when it came to our picks, because, as fate would have it, they ended up clashing! Meaning I only have the word of a friend who went to see him on my behalf that he was “very good”. Meanwhile I caught Hers and The Pearl Harts play to a rapturous crowd in Guillvers. I was nervous after the Hers set that, when everyone left the room, they wouldn’t come back – but they did. It was great to see both bands play to a group of people who were there purley to discover new music. That was a real thrill – as was it when I realised TPH were wearing Popped Music badges on stage. I had so much fun in Gullivers that I decided to stay put and see Seafoal too. The festival also meant I got to watch acts I’ve written about before play their first show in the NW, which was a huge buzz, especially when it came to seeing Saltwater Sun. 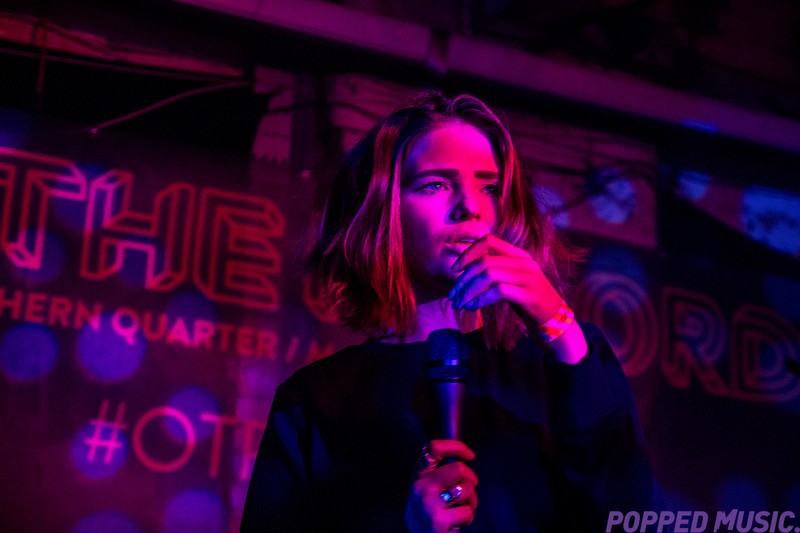 I got to watch a diverse range of acts, all picked by different people, all watched by a decent sized crowd and all offering something exciting to the live music scene. Another cracking new music festival added to the Manchester festival line up.